Pocket Naturalist: The Night Sky, 2000. 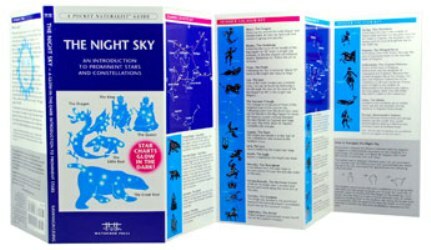 Compact, laminated stargazing guide, with glow-in-the-dark charts showing summer and winter constellations in North America. Also provides descriptions and drawings of major constellations. Folded to 4” x 8 ¼,” opens out to six 4” panels.